Synthmulator is a unique experience. Made with Unity, a game development platform, it places you in a room where you can play with the Proto-1 modular synth from a First Person perspective, turning knobs and patching wires. 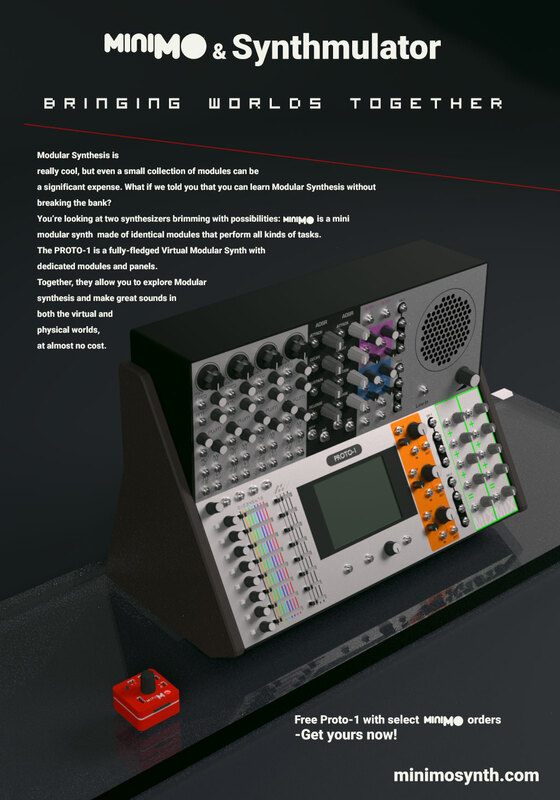 It is the closest thing to a VR Modular Synth (in Eurorack format, mind you) currently available in the market. 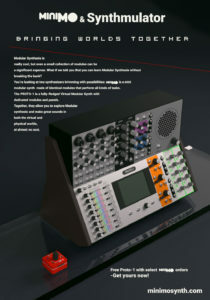 As it happens, Synthmulator is developed by my good friend Oscar Sebio, and we've worked out a deal so that I will be giving away a download code for Synthmulator with every purchase of the Value Pack, from now until April 30th.